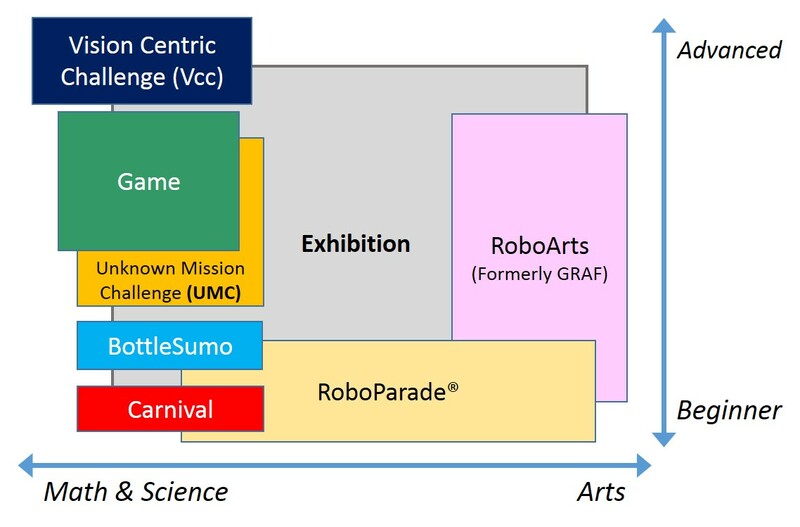 Robofest’s mission is to generate excitement & interest among young people for Science, Computer Science, Technology, Engineering, and Mathematics (STEM), develop soft skills such as teamwork, leadership, creativity, communication and problem solving, and prepare them to excel in higher education and technological careers. What makes Robofest programs unique? Look Mom, No Hands! : Students must fully program their robots to perform their missions without human assistance. No joysticks or remote controls are allowed. Your Mission, If You Decide to Accept It: Is (partly) unknown or dynamic. Students must program their robots to accomplish tasks in a dynamic environment. Students Rule: While adult mentorship is encouraged, students design, construct and program the robots, and adult coaches are not allowed to assist during the competition. It's Flexible: Any type of robot kit, materials, actuators, and sensors are allowed. Robots can be programmed with any programming language. Affordable: Team registration is $30 ~ $50 per team. Reusing parts and old kits is encouraged. Teams can be formed by any organization, school, home schools, clubs or civic group. Everyone is Recognized: All registered participants receive personalized medals and certificates. Winners of the qualifying and championship rounds receive trophies. Top teams in the World Championship senior division receive $2,000 LTU renewable scholarships. Something for Everyone. Robofest offers a wide variety of programs that fit many robotics experience levels and interests. Advanced or novice, we have something for you!